If you are serious about losing weight but confused by the media storm on the multitude of diets available, then I can help you achieve your health goals quickly AND affordably with the 'newly approved by the NHS' fast-working diet plan to get you back on track AND keep excess weight off for good. The NHS have recently (June 2018) approved the 1:1 diet by Cambridge Weight Plan as an effective, healthy and recommended programme which achieves substantial weight loss and helps to combat diabetes, high blood pressure, fatty liver & heart disease and sleep apnoea, plus a myriad of other ailments caused by being overweight. I will work with you on a one to on basis to get you where you want to be and because of ALL the benefits I received from losing weight this way I am now also committed to helping YOU. The NHS announcement has received widespread media coverage verifying the benefits of embarking on a manageable and effective weight loss plan with me today. The 1:1 diet by Cambridge Weight Plan offers a variety of meal replacement options to suit your aspirations and lifestyle, which will be defined following an initial free consultation with me. Flexible appointment options & locations with premises in Bath, Bristol & Melksham. Mobile option available in the comfort of your home. Workplace consultations welcomed for groups or individuals. 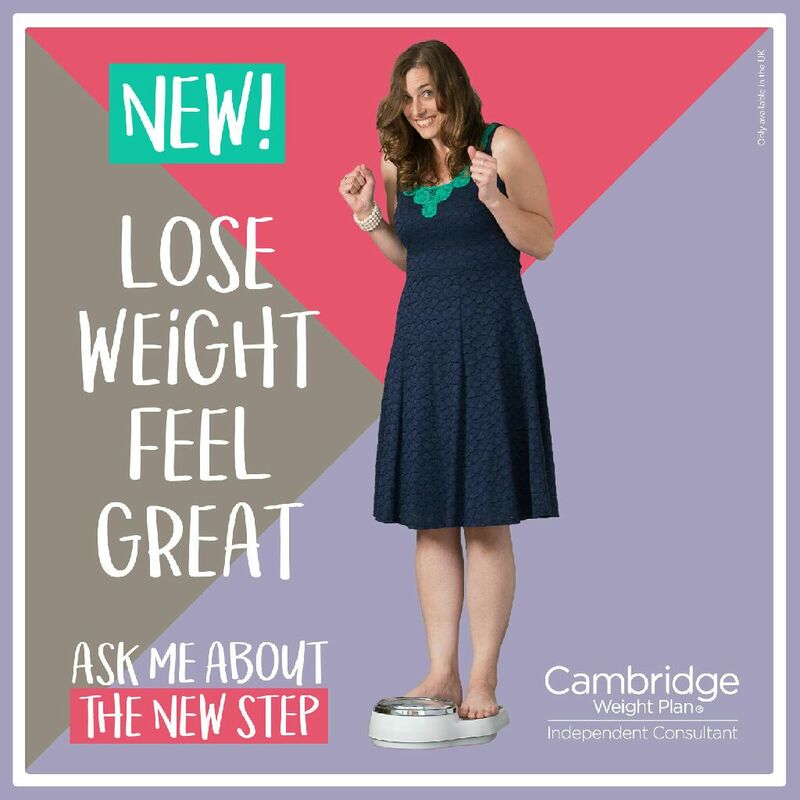 Benefits of the 1:1(one2one) diet by Cambridge Weight Plan in Bath: Free initial consultation & body scan (if you come to the office) to establish your goals. A choice of 6 proven weight loss plans to suit your lifestyle. A wide range of healthy, nutritious & tasty meal replacement products. Free weekly consultation & motivational session. Free ongoing 24/7 support from trained & experienced consultants. Affordable & motivational programmes to inspire you. To start your weight loss journey and to become the person you know you truly are, please contact me now to arrange your free initial consultation. I look forward to hearing from you soon!